Hellgate Hunters & Anglers: State Lands: For the Birds? State Lands: For the Birds? One of the legions and his hunting pal. Around my part of Montana this past hunting season, there was a mind-boggling amount of pressure on our state lands. Trucks parked along back roads where I never even knew there was any state land (or I had been too afraid of offending a landowner to try and hunt it) - a quarter section here, a section there, always with two orange clad figures coming over the hill. My local antelope spot was useless on the weekends, with a steady rumble of traffic along the roads, and blown herds like specks of orange and white dust way out on the flats and hightailing it for private lands. A tsunami of license plates from west of the mountains, where, as all locals know, paid vacations abound, the wind never blows, and beautiful people sip microbrews while planning the best way to kill our game and fish. The culprits, of course, are the (relatively) new and (relatively) inexpensive GPS units that show land ownership maps. For the first time, hunters and fishermen can determine within a few feet of where a public land boundary ends. More land to hunt, roam, run the kids and train the dog. No more purple-faced confrontations with landowners who are claiming that their state land lease is actually their private property. Fewer trespassing violations issued by game wardens. These are big positives here to offset the loss of secret state land honey holes and exclusively local access, and there may be the potential for a lot more. Because the GPS has done what all successful technology does: opened a Pandora’s Box of questions and turned loose the winds of change. As more sportsmen zero in on state lands, and as the role of recreation in our economy becomes more clearly understood, state lands may be the next big opportunity for increasing wildlife populations, restoring habitat and creeks and wetlands and maybe even providing more money for schools and local communities at the same time. The time is becoming ripe for leasing state lands for conservation and recreation rather than just traditional commodities production. It will not be done easily, it will not be done immediately, but it will come to pass. There are too many good reasons for this conservation leasing, or some variation of it, for the idea to be held at bay forever. When we are looking for new places to hunt, opening a landownership map, or gazing on a computer screen (Montana Sportsmen's Atlas) at the millions of acres of state lands marked in blue, is like being a kid on Christmas morning. All of that state land, 5.1 million acres of it, there for the wandering, the envy of any sportsman in almost any other state. We imagine the wild flush of pheasants, the quiet thunder of a big mule deer buck’s hooves on the gumbo in some forgotten coulee, coveys of sharptails in buffalo brush thickets. I’ve spent days doing this, gazing at maps, planning hunts, imagining long days packed with game, in prime habitat. Every once in a great while, the reality matches the dream. More often, though, I find myself trudging across empty sections, the grass eaten down to the dust, cowpies outnumbering game birds ten thousand to one, or monocultured pool tables of wheat and hay, with eroding creeks and cow-hammered wetlands long ago dried to alkali. It’s disappointing to a hunter, and it’s sad for anybody who knows how rare really good habitat is these days. There’s a reason for the emphasis on bales and bushels and cows on state lands, and it’ not usually because the ranchers and farmers who lease those lands are poor stewards, or that state land managers are looking the other way. The simple reason that so many state lands have such poor wildlife habitat is because there is a law that mandates that these lands produce the maximum sustainable amount of revenue for our public schools, which is why they were set aside in state ownership in the first place. Montana’s 5.1 million acres of state lands are our part of almost 40 million acres of state owned lands across the West. All of these lands date back to the federal Enabling Acts that granted the states, at or near the time of statehood, two sections (a section is 640 acres or one square mile) in every township ( a township being 36 numbered sections, or 23, 040 acres). Latecomers to the statehood game, Utah, Arizona and New Mexico, were granted four sections per township. These sections- usually chosen as section 16 and 36 of each township, were to be used in a sustainable manner to produce money for schools and other public institutions, which is why many people call them “School Trust Lands.” It was an odd idea, really, because the sections can be of any quality- some are bare rocks, some badlands, some lush pasturelands or riverbottom or forest, all arbitrarily selected out of the grid. Many times, Section 16 and 36 were already homesteaded or were otherwise unavailable, so other sections were granted instead, making a kind of crazy-quilt patchwork that can be difficult and expensive to manage and monitor. California and Nevada opted to sell their lands as soon as they could, and Montana, like other states, has sold some as well (while retaining the mineral rights, which is why we have about a million acres more mineral rights than we do land), traded some for others, and tried hard to manage the rest as well as possible. Since 1889, Montana’s state lands have produced income as intended. They are an economic powerhouse, generating over $150 million in 2010. Most of that money goes to schools, with smaller portions going to state universities, the Montana State Hospital, Agricultural Research Station, etc. Since 1889, the way to make money to support our schools and public hospitals has been to lease state lands for the traditional money-makers: agriculture, grazing, timber production and energy development. So that’s what we’ve done. 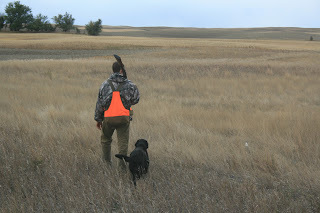 Recreational use, hunting, horseback riding, walking, fishing, were hardly considered until 1991, when the Montana legislature recognized the importance of these lands to sportsmen, and tacked on a $2 fee on the conservation (hunting and fishing) license to codify our right of access, and to produce more money. That legislation opened up 5.1 million acres to public access, a deal if there ever was one. Most of us have not wanted to look that gift horse too closely in the mouth, so we have not complained too much about the condition of the lands we are free to roam. 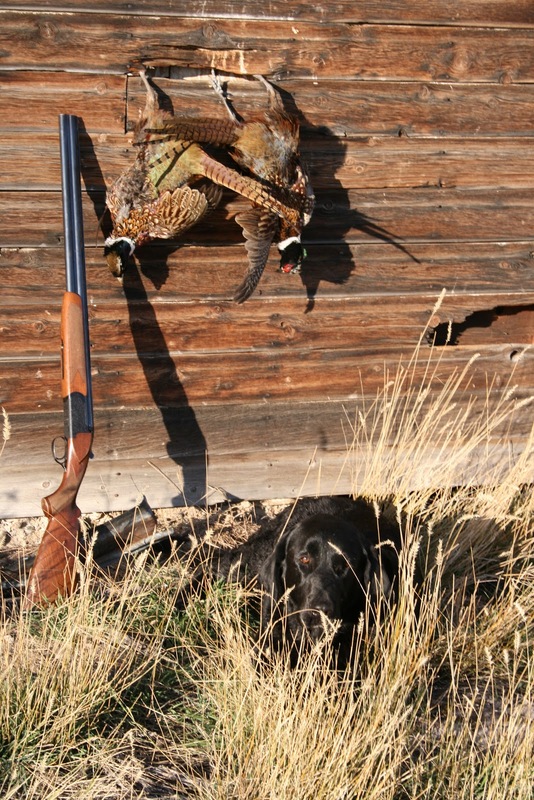 But now, with increasing hunting and other recreation pressure combined with the loss of access to so many private lands, there is a renewed focus on state lands as a source of hunting opportunity and the restoration of what are termed “ecosystem services,” such as revegetated creeks that lose less water to evaporation and are less prone t destructive floods, native grasses that prevent erosion of valuable topsoil, wetlands that filter and recharge the waters in aquifers, and on and on, all the workings of the complex natural systems that support life on our planet. The interest in the role of state lands in recreation and ecosystem services is not new. In fact, in 1995, the Ravalli County Fish and Wildlife Association, Inc. won a Montana Supreme Court case (the case started as a dispute over grazing permits for domestic sheep that spread disease to bighorns) and established that the mandate to produce the maximum amount of revenue on state lands did not in any way preclude the responsibility to maintain wildlife populations and recreational values on those lands. It was a landmark case, and another step in the ladder leading to a change in priorities on our state lands. As always, money provides the strongest step of all, and recent studies that show hunting and fishing and other outdoor recreation contributes over $2.5 billion to Montana’s economy and generate more than $118 million in tax revenue have added some real muscle to the questions about the best use of these lands. One answer that seems simple is that sportsmen’s groups or conservation organizations should be able to offer competitive bids to lease state lands for something other than crops and cattle or oil and gas. The lands would remain accessible to the public, but resting them from intensive grazing, restoring shelterbelts and upland game bird specific plants could create a huge increase in game, not to mention creating habitat for non-game wildlife and birds. Right now, it costs a minimum of $9 to run one AUM (Animal Unit Month, one 1000 pound cow, or a cow/ calf pair) on state land. If you are farming the land, the average lease rate is a 25% share of the crop. Leases can easily add up to a couple of thousand dollars or more, and a lease runs for ten years. $20,000 is a lot of commitment money to restore habitat on land that will be open to the public. But it is not an astronomical amount. Legally, the Montana Department of Natural Resources will have to consider a bid on a lease when it expires at the end of a ten year period, although the current leaseholder will retain the right of first refusal. The current leaseholder will have the option of meeting the new bid. If the leaseholder decides that the bid is too high to meet, of course, the lease is awarded to the newcomer. Kellogg suggested that I speak with Erik Eneboe, A DNRC Unit Manager in Conrad, MT. Eneboe said that he couldn’t remember anyone in his region ever trying to lease state land for conservation purposes, but that it could happen: “Anybody over 18 can bid on a lease. But we haven’t seen that locally, say an outside group bidding high to try and take over a lease.” What he has seen and worked with, though, Eneboe explained, was “a focus on working together with leaseholders to enhance habitat” through cooperative programs like the Upland Gamebird Enhancement Program. Sadly enough, a wholesale movement to enhance wildlife habitat on state lands has never really taken off. And what progress Roberts made during his years of active service at DNRC has not, until very recently, been carried on. Tom Pick laughs when I ask him if it wouldn’t be easier just to have somebody with enough money offer more money for the state leases and re-establish wildlife habitat that way. “We decided not to stick our heads in that hornet’s nest,” he said. “And the reality is, with that model, we just didn’t find the interest from sportsmen’s groups to lease the land. Most of them rejected the idea because those lands would become known to the public and see an increase in use. The public is figuring out the best places anyway, but this was another reason why there wasn’t much interest in competing for the leases.” Pick said that, while competitive bidding from sportsmen’s groups might happen someday, it’s definitely best not to wait around for it. “I could see where, if there were couple of sections close to a town that were being managed poorly, and you could prove that it would produce more revenue as conservation or recreation value, maybe you make an argument for that,” he said. Pick says that he and Haugen and others are “pioneering an approach” that will allow the use of money from the Upland Game Bird Enhancement Program to restore habitat on the lands they have identified as having the most potential. Such a claim of land deterioration and lost revenues is easy to make. Pat Graham, who during a life’s work in wildlife and conservation served as Director of the Montana FWP during the 1990’s, has been working on public lands issues for the Nature Conservancy in Arizona since 2001. Graham says that, while the Forest Guardians lawsuits made headlines as “the environmentalists trying to get in on the bidding process,” on state lands, the outcome for actually leasing a lot of land was not nearly as dramatic as the narrative in the media. “”Really not many of them (environmentalists) showed up,” Graham said. “It takes a lot of money, and you have to plan ten years ahead. There’s not many in the conservation community that can or want to do that.” Graham said that compared to Montana, the fights over the sale and leasing of public lands in Arizona have been intense, due to the explosive human population growth in the state and the fact that so many of the lands are in urban growth corridors. 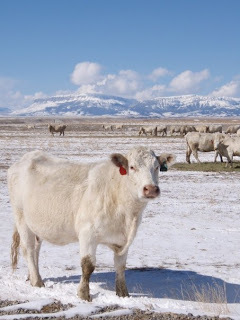 “Because many of the grazing leases are often on arid lands, it takes time for landowners to recover investments from actions like restoring grasses and removing shrubs using controlled burns. It just doesn’t pay in the short term and the profit margin is low. I know some have considered a lawsuit to say that the way the state is managing some of these lands is trading off short-term gains for long-term revenue for the schools. I think a better approach is to look for incentives to provide some security to the good ranchers who are in it for the long-term. Offer them preference for renewal of leases if they manage for good land health and habitat. Some think a lawsuit is the stick needed to better manage state lands. I think we need to step up with creative carrots,” he said. There is still the question of finding that willing leasee to work with. No one can know what percentage of leasees would want to participate. In Arizona, if you read the 2001 editorials and articles concerning the Forest Guardians lawsuits, it’s easy to see how angry and polarized the issue of leasing state lands for conservation became. But these lawsuits do not come out of the blue. They are the result of a monopoly on the use of the lands that refuses to consider the needs and demands of the public that shares ownership in them. There is ample, and growing evidence, too, that the “sand in the gears” of the landowner-sportsmen relationship is grittier and heavier than ever. A map produced recently by the Montana Sportsmen’s Alliance http://www.montanasportsmenalliance.com/ shows the extraordinary extent of private lands across the state leased to outfitters, and, presumably, mostly off-limits to the average hunter. Every session of the Montana legislature produces a new blizzard of bills that are anti-conservation and anti-public hunting, all of them written by legislators who claim the support of the agricultural community that is leasing the state lands. This past year, legislators successfully killed the so-called “corner crossing bill” that would have allowed the public to step from state section to state section without being charged with trespassing. Other bills made it impossible to restore a small herd of bison on federal lands in the Missouri Breaks - and these bills were delivered on the alleged behalf of some private landowners who lease federal land for grazing at $1.35 per AUM- a price that dates back to 1966, when a Coca-Cola cost 15 cents, gasoline was 32 cents a gallon, and a good new car could be had for $2,650. Do most agricultural producers who enjoy these sub-market lease prices really support legislators kicking this particular sleeping dog? It’s highly doubtful, but we do not know, because no one is asking any questions. Why do we have an AUM rate on federal lands that has not been changed since 1966, at a time when we are experiencing a crushing national deficit? Why no official studies of how many big game animals could be supported by the forage in an AUM, and a weighing of what that figure could mean economically, in increased hunting license sales? As energy development overwhelms so many acres of state and federal land, why has no one discussed a focus on a quid-pro-quo restoration of undeveloped lands, rather than just continuing with AUM’s as usual, as if the thousands of acres impacted by energy development did not exist? Why a state lands revenue model that ignores the economics of recreation, and leaves out the economic role of the ecosystem services- less floods, less erosion, better water quantity and quality, and more, provided by partially restored, rather than single-use landscapes? 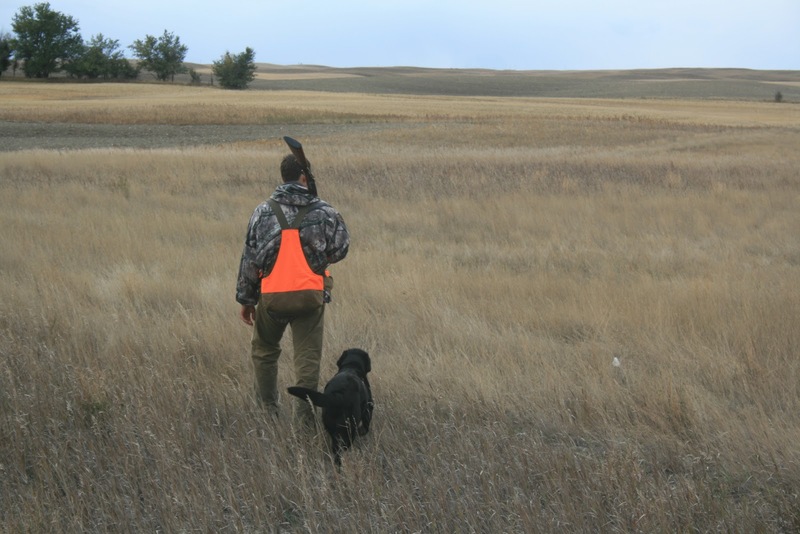 It is difficult to argue that the gears of the sportsmen-landowner relationship can be made to operate more smoothly unless we are at least willing to ask and answer some of these questions. This is not about confrontation, this is about acknowledging responsibilities, both by leasees and by the rest of the public that shares ownership in the lands. It should be a partnership. If wildlife and public hunting are to be a part of the unfolding story of Montana’s state lands, something has to change. The newly empowered hordes of GPS-carrying hunters and nature- lovers are going to expect more from the lands that they can access. Land does not exist in vacuum, and commodities do indeed become more valuable as they become scarce. At this moment in history, with a soaring human population and sprawling cities, wildlife habitat and access to hunting or just recreating in a place of natural wealth and beauty, are very valuable commodities indeed. The out-of-state and out-of county license plates that I saw everywhere in my hunting spots last season attests to that value, and foretells a conflict to come. I think Montana, with its long history of public-private partnership, with its wildlife-supporting agricultural producers and pragmatic conservation community, can head off that conflict and create something of powerful benefit from this change. But the time to start figuring it out is right now, while it’s still possible to talk over a cup of coffee, before the lawsuits and the intransigence they breed become our only reality. "recent studies that show hunting and fishing and other outdoor recreation contributes over $2.5 billion to Montana’s economy and generate more than $118 million in tax revenue" Oh yes, that all sounds good now. As a hiker and wildlife watcher I have tried that before too when protesting trapping and other activities that reduce my enjoyment of these public lands. Only, I quickly get put in my place-I am not a hunter, I have no say...I have no rights. I don't contribute to wildlife conservation apparently. Yet when hunters want access to private and public lands, all of a sudden we are on the same team once again. Public lands should be for all the public. If not then the cows can very well have them for all I care.